General Motors will soon join an exclusive club of companies that have a woman in both the CEO and CFO roles. The automaker has been led by Mary Barra since 2014, and on Wednesday it announced that Dhivya Suryadevara will be its new chief financial officer as of September 1. 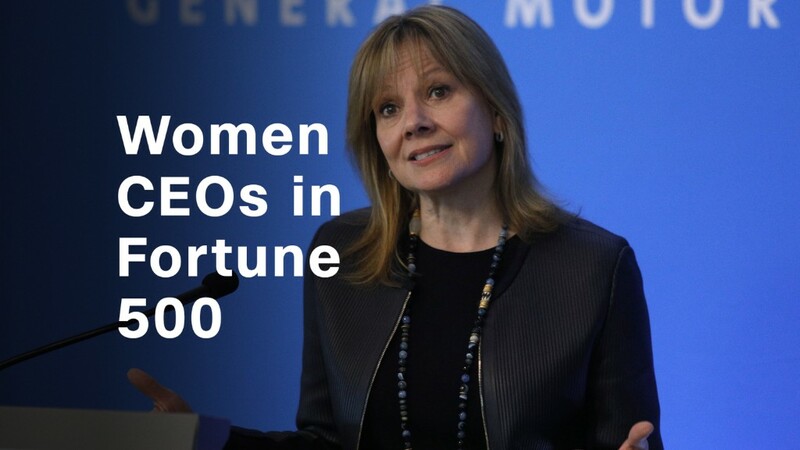 Only 23 companies in the Fortune 500 have a female CEO. Hershey (HSY) is the only other company on that list that has also women in both the CEO and CFO slots. American Water Works (AWK) is another company that has women in both jobs. It's a member of the S&P 500, but not quite large enough to make the Fortune 500. GM by far the largest company with this tandem. Suryadevara, 38, joined GM in 2005 and has been vice president of corporate finance since July 2017. GM (GM) said she has played an integral role in some recent, major initiatives. Suryadevara worked on the sale of Opel, its European division, in 2017. She helped with a $500 million investment into Lyft, and worked to secure a $2.25 billion investment in GM's self-driving car program from Softbank. She previously helped achieve ratings upgrades from all three credit agencies. She will replace Chuck Stevens, who has been CFO since 2014. So few companies have women in both of those important positions simply because it's rare to find women in either post, said Anna Beninger, senior director of research and corporate engagement partner at Catalyst, a non-profit studying women and work. "Any time a woman brings on another woman, it's notable. It should be acknowledge, and celebrated," she said. The number of female CEOs at Fortune 500 companies has fallen by more than 25% since it hit a record high of 32 in early 2017. Several high-profile female CEOs have recently left their posts, including Marissa Mayer at Yahoo and Irene Rosenfeld at Mondelez (MDLZ) last year. So far in 2018, Denise Morrison left Campbell Soup (CPB), Meg Whitman left Hewlett Packard Enterprise (HPE) and Sheri McCoy left Avon (AVP).